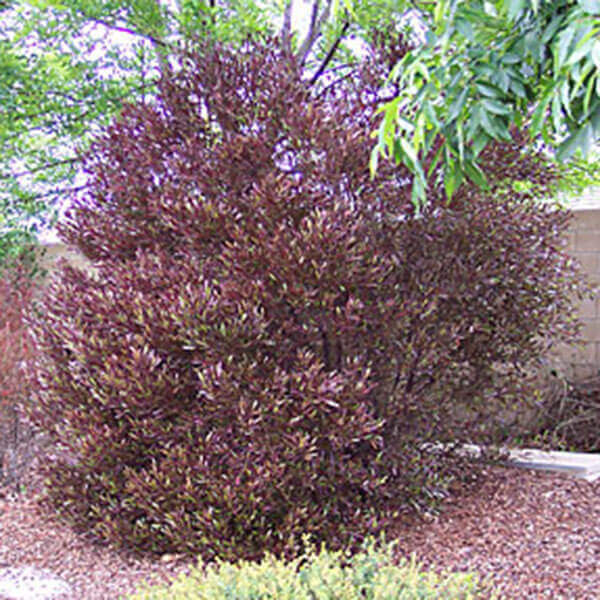 This is a evergreen shrub with purple leathery leaves that has clusters of reddish seeds in summer. Excellent as 'contrast foliage' or as a screen or hedge. Tolerates poor soil, windy and costal sites.